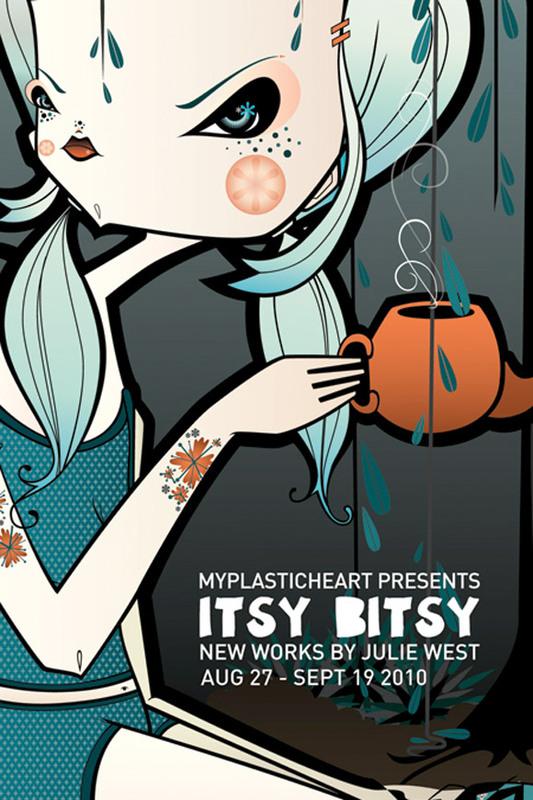 San Francisco-based artist Julie West will be doing her new solo show, “Itsy Bitsy” at myplasticheart in New York City. The show will mainly be new paintings and custom toys, with extra attention to sharp detailing. The opening reception takes place on August 27th at 6 PM, check it out if you’re in the area.